The Monday Ramblers is a group of people who love to be outdoors, especially hiking the beautiful North Olympic Peninsula. We are mostly retired adults who welcome all adult hikers regardless of hiking experience. Our hikes are day hikes as opposed to multi-day overnight backpacking which allows us to be back in our homes before the sun goes down. Our hikes take us literally from the mountains to the sea, always ending with camaraderie and a tailgating party. 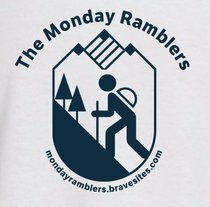 If you're interested in hiking with a group of congenial people who love to be out in nature and if you want to be up close and personal with one of the most beautiful places on this earth then join us, the Monday Ramblers as soon as you can. Please take a moment or two to read our WELCOME & CONTACT INFO page, our ABOUT US page as well as our HIKE SCHEDULE page. After that, feel free to get in touch with anyone on the contacts list. Members of the Steering Committee will be happy to discuss with you hiking in general and the Ramblers in particular.